It should not come as much of a surprise that the Internal Revenue Service enforces a number of stringent and specific rules for Gold IRA accounts. Consider yourself lucky that they allow you to inventory such precious metals at all. Until the Taxpayer Relief Act of 1997 was passed by Congress, neither precious metals nor collectible coins of any kind could be included in the self directed IRA retirement vehicles. Now this has changed much for the better, but you should still be clearly aware of the various IRS rules that apply to these precious metals IRAs. 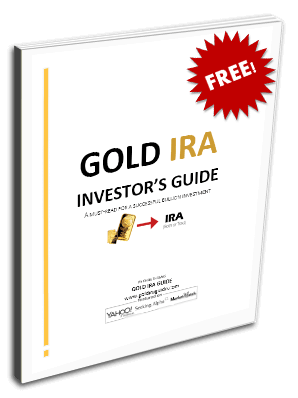 In order to have a Gold IRA, you will have to first open it with an IRS approved administrator. There are many administrators in the country today, ranging from insurance companies, to banks, to retirement companies. The important thing to remember is that not every one of these administrators will be able to handle a precious metals IRA. Even ones that do handle these types of IRAs may require that you open up a new account in order for it to be a self directed IRA. It is most critical to note that you never buy gold or other precious metals with your IRA account funds personally. The IRS requires that your IRA account administrator do the actual transactions on your behalf. You will simply give directions to your custodian in order for them to start purchasing the precious metals. They will make all arrangements for shipping and insurance when they conclude the transaction. Once your new precious metals have been purchased, they must be stored according to IRS guidelines for precious metals IRAs. This is where your custodian comes into the picture. The role of the custodian in a self directed IRA is critical, since you the investor are never allowed to have in your personal possession the coins and precious metals at any point. You also can not buy the gold with the intention of handing it off to your administrator or custodian. If you have possession of the assets for even a single day, the IRS will then treat your metals as distributed and start assessing the appropriate penalties and taxes on them. The custodian of your new Gold IRA will receive your precious metals and then hand them over to an IRS sanctioned third party, off-site depository. You are allowed to select the depository which is utilized, or to simply sign off on the one with which the account administrator already has an existing relationship established. They will inventory and safeguard your precious metals treasure hoard all the way to the point when you give explicit orders to your account administrator to either sell your gold or distribute it to you. At this point in time, distributions would be sent by insured delivery to your home address. These approved depositories are set up specially to hold precious metals, especially from self directed IRAs. They will include a yearly storage fee that will come out of the metals in your IRA vehicle. Your precious metals will not leave their vaults until you sell them or request a distribution. Many of these vaults will default store your metals as aggregated, where they are all kept together with the valuable metals of their other clients. You should request segregated storage of your holdings, though beware that they may charge you higher fees for this convenience of having your metals kept in their individual safe deposit box. When you begin to make your contributions, you should check out personally (or at least inquire of your administrator) what the annual contribution limit to your self directed IRA actually is. It has been $5,000 yearly, with an increase to $6,000 yearly when you reach 50 years of age. Funding the IRA is either a matter of transferring via a rollover from a similar qualified plan or sending in a check to the account administrator. You can never purchase the precious metals yourself with the intention of then mailing them into the account administrator. Assuming you decide to take the gold out in the form of a distribution, there will be tax consequences. Once you assume physical possession of it, you will have to pay the full income tax on the metals' values at the moment you withdrew them. If this is an early distribution, there will also be a 10 percent tax penalty assessed on the value at time of withdrawal. Besides this, the IRS will assess a 28 percent capital gains tax on any profits you realized from your original cost basis of the holdings. The IRS also has age limits on when you are able to access your Gold IRA funds. They can not be touched until you reach age 59½. You are not forced to begin taking distributions at this age. By age 70 though, you must begin to receive distributions and withdrawals. The IRA owner becomes disabled. The IRA holder becomes hospitalized and has neither insurance nor money for the medical bills. The IRA owner dies and the beneficiary needs to access funds via withdrawals. The IRA holder becomes unemployed and can not pay for insurance as a result. The IRA possessor engages in identical amount equity withdrawals known as “substantially equal periodic payments” throughout their expected life. The IRA owner or immediate family member (spouse, son, or daughter) requires funds to pay for education considered to be qualified. This does not only allow for tuition, but also for books, room and board, and other reasonably related expenses. The IRA holder wishes to utilize up to $10,000 out of the account in order to purchase a first time home. Not all precious metals may be purchased for inclusion in a Gold IRA. The IRS has very strict rules on which specific bullion pieces qualify. They must meet a high minimum purity standard for the relevant precious metal. They also must not be considered to highly collectable. The coins also have to be from the U.S. Mint or another approved foreign mint.